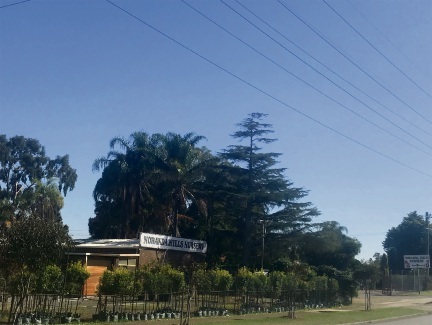 MORLEY MLA Amber-Jade Sanderson says a proposed scheme amendment, which could enable the Noranda Hills Nursery site to be developed into a supermarket and service station, will not revitalise the area. The proposed amendment to the City of Bayswater’s town planning scheme to rezone the site at 81 Camboon Road, Noranda from special purpose to business with an overlaying special control area is out for public comment until April 24. According to the amendment, the purpose of the special control area is to provide greater detail on permitted building heights, land uses and landscaping requirements. The amendment would enable the site to be redeveloped with a small supermarket, a service station and other small retail spaces. However, no development applications have been lodged for the site. Ms Sanderson, who sent a letter addressing her concerns to City chief executive Andrew Brien, said there were empty commercial spaces in the City, including some in Hawaiian’s Noranda which could be utilised. “It is essentially ad-hoc, spot rezoning for commercial purposes and that is really bad planning practice,” she said. “To provide for another development would essentially be a ‘cookie cutter’ petrol station and supermarket – I don’t think it adds particular value in revitalising and creating that urban activity centre that the council is attempting to do. Ms Sanderson said all of the feedback she received from residents was not supportive. “What we need to do is to develop the area we have and I think the area deserves better than that,” she said. Bayswater Mayor Dan Bull said the City received Ms Sanderson’s letter and was aware of several residents preparing a petition opposing the amendment. “As part of our consultation on the proposed scheme amendment we have received feedback from members of the community expressing their concern about traffic, public transport and the impact of the proposed petrol station on the amenity of the area,” he said. Noranda Hills Nursery owner Bill Ntoumenopoulos was contacted for comment. Meanwhile, North ward councillors Brent Brent Fleeton, Filomena Piffaretti and Stephanie Gray are co-hosting a forum for residents to raise their concerns with planning officers at the Morley Recreation Club on April 14 from 10.30am to 11.30am. To comment on the proposed scheme amendment, email mail@bayswater.wa.gov.au, post a submission to Chief Executive Officer, City of Bayswater, PO Box 467, Morley WA 6943 or online at https://engage.bayswater.wa.gov.au/tps24-amendment-no74-liquor-stores1?preview=true.